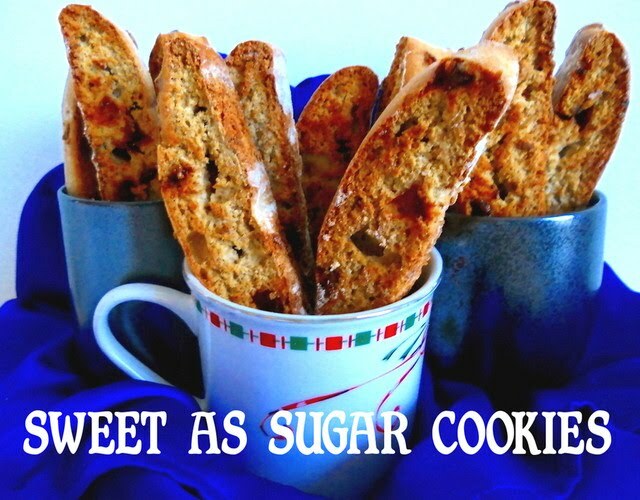 For this month's Secret Recipe Club, I received Elizabeth's blog, Food Ramblings. Elizabeth loves to make recipes that are healthy, which means that her blog is right up my alley. I love to cook with vegetables and whole grains and her blog is full of recipes like that. And, if you think that healthy equals boring or tasteless, she will prove you wrong. I actually couldn't decide between several of her recipes, so I made three, though I didn't get the chance to photograph the other two. First, I tried her Quinoa Spinach Mac n' Cheese. Instead of using noodles, it uses quinoa. Fantastic! It was such a great change. 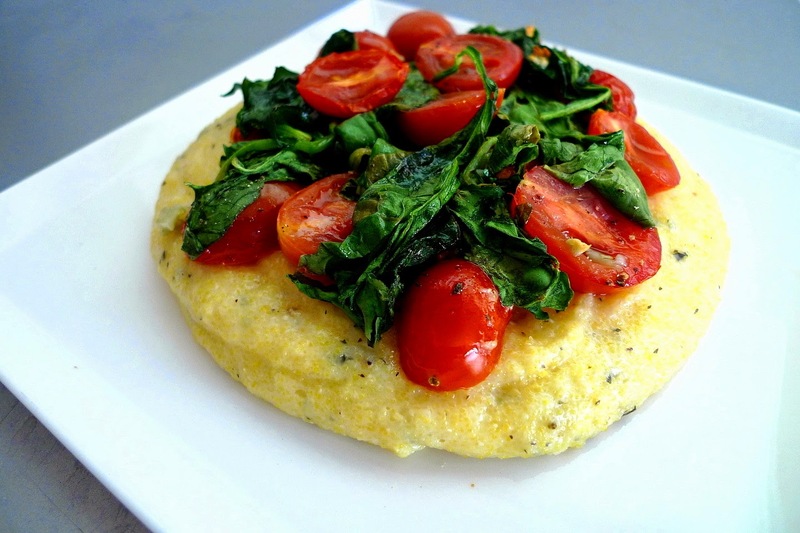 Then, I saw her Basil Polenta with Roasted Spinach and Tomatoes. The pictures alone were enough to convince me that I had to make it too. The whole dish comes together in less than an hour. And it is just beautiful with all those vibrant and contrasting colors. Even better is that it tastes every bit as good as it looks. I love that I found a new vegetarian recipe to share with my family. Thanks Elizabeth for your yummy recipes! Preheat the oven to 400F. Cut the tomatoes in half and lay them out with the spinach and garlic on a baking sheet. Lightly drizzle everything with the olive oil and add salt and pepper to taste. Bake for 20 min. Prepare the polenta, as directed, making enough for 2-4 servings. (I used half water and half skim milk). Remove from the heat and add the parmesan cheese. Season to taste. Top the polenta with your roasted veggies.